Betting shops are the real source of the UK’s obesity epidemic, according to a health official. It’s no secret that the UK has a lot of fat bastards – a 2014 World Health Organization study found 28% of UK adults are obese and 62% are either obese or overweight. 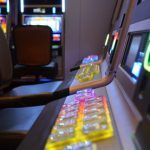 Rachel Flowers, a director of public health in Croydon, south London, claims to have identified the root cause of this epidemic: the nation’s 9,000+ high street betting shops. Pretty rigorous scientific methods at play there in identifying the smoking kebab, one has to admit. Sort of like those tabloid headlines detailing the billions of pounds the residents in each UK city ‘spend’ playing fixed-odds betting terminals (FOBT), which, given the machines’ 97% payout rate, is exponentially higher than the money punters actually lose to the machines. But you know, math. 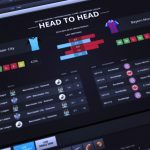 Then again, using Flowers’ logic, buying Blackpool FC tickets also leaves people with less time on their hands and money in their pockets, giving football fans absolutely no choice but to opt for yet another bucket of fried chicken, bacon double cheeseburger or deep-fried Mars bar instead of that mixed green salad. Et tu, footie? 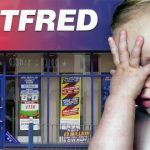 But hey, so long as we’re untethered from reality, let’s just go ahead and assume that the real reason the UK government has yet to heed the public calls for reduced maximum stakes in betting shops’ FOBTs is simply part of the government’s master plan to get Britons bikini-ready by summer. 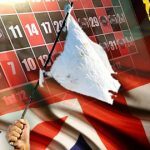 Chancellor George Osborne’s office was forced to issue a statement on Thursday denying that he was blocking a promised review into the alleged FOBT menace, after critics suggested the government doesn’t wish to jeopardize the £425m in tax revenue it earned off the machines last year. 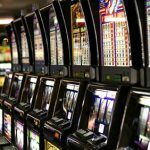 However, multiple sources have told us that the Tories believe FOBT stakes are actually too low, and that if the machines can leave punters with NO money in their pockets, they won’t be able to afford food of any kind, let alone greasy fish and chips, which will lead to dramatic weight loss and a far more slender pleb profile. You’re welcome, England.